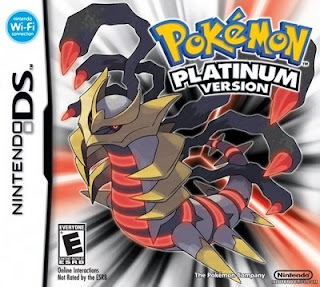 Attention all you Pokemaniacs prepping for the March 22nd launch of Pokemon Platinum for Nintendo DS. Nintendo of Canada has struck a deal with major Canadian retailers to give away a limited edition Pokemon figurine for those who pre-order the game. The figurine will be the dual-type Ghost/Dragon legendary Pokémon, Giratina. Yes, it's obscenely ugly and genderless, but that doesn't mean Girantinas don't crave love and attention. I'm sure it'll look surprisingly pleasant on your knick knack shelf right next to your Wobbuffet. For a list of retailers honouring this promotion, check out the Pokémon Platinum page on the Nintendo of Canada website.